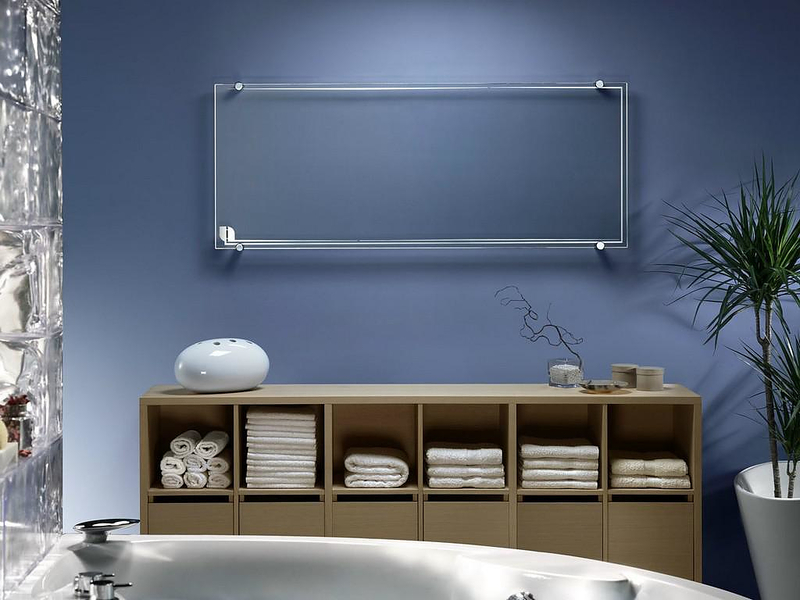 HomeBlogHome DecorTransparent Glass Radiator Thermoglance® by Asola Vetro. At last an invisible radiator! 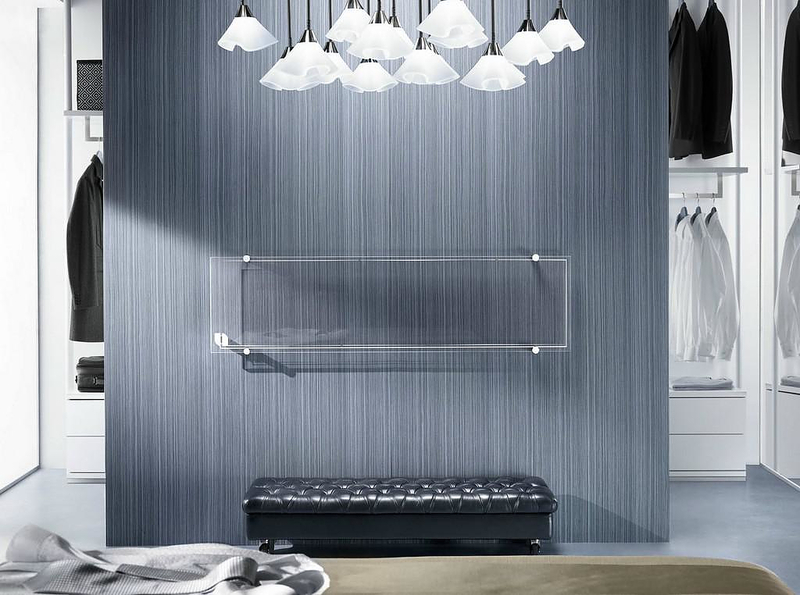 The long standing wish of any designer or decorator came true with the transparent glass radiator Thermoglance® by Italian brand Asola Vetro. 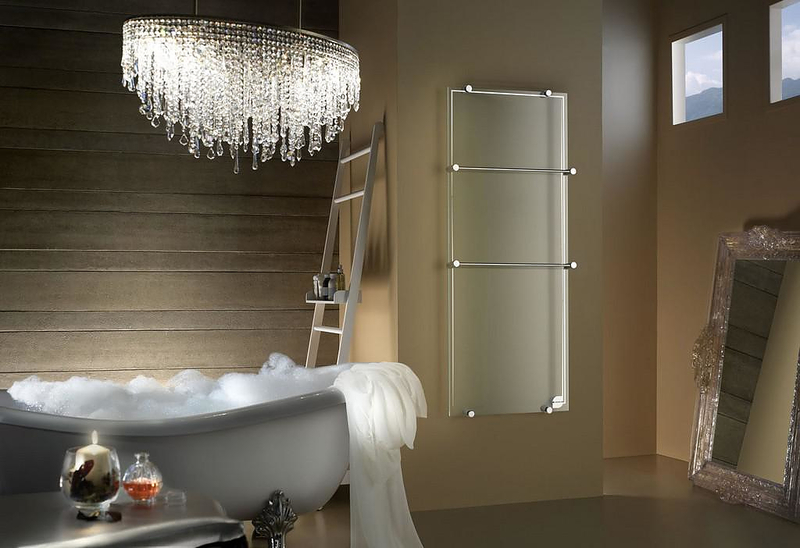 While conventional radiators and heaters over adequate heating performance, they also suffer from a number of stylistic and practical drawbacks. They have a considerable volume and weight, require maintenance and their usually irregular shape and surface is difficult to clean. Even if the radiator surface is flat, the dust accumulates on the inner fins and the wall behind it is hidden out of sight. 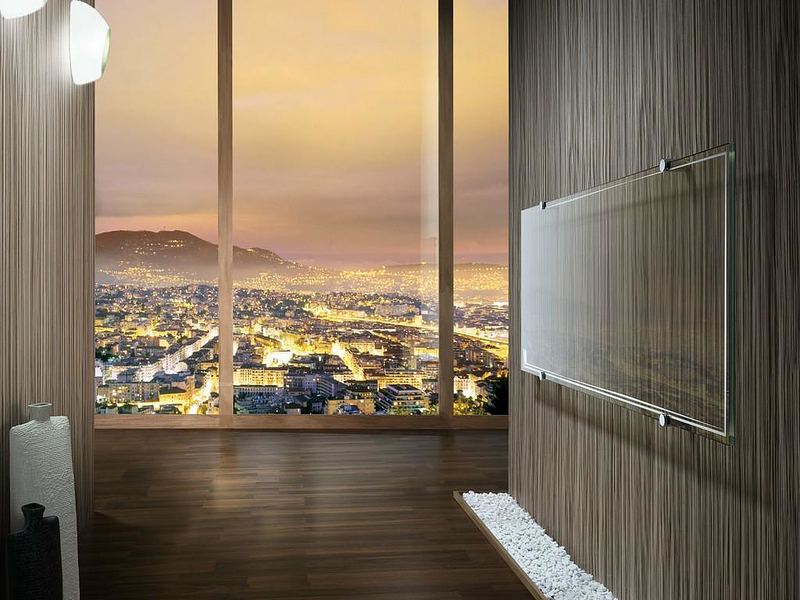 The transparent glass radiator Thermoglance® uses an entirely different heating method. Instead of convection heating it uses irradiation. 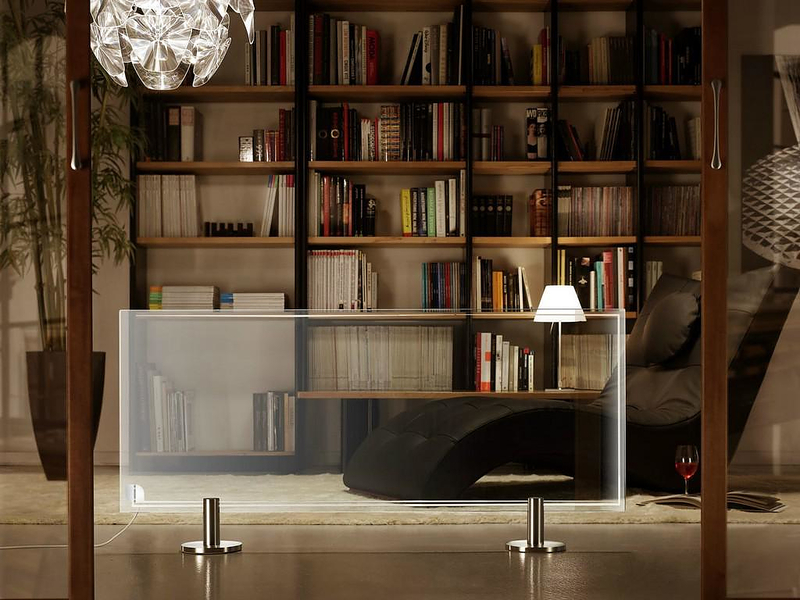 It does not require water or any other fluid and features innovative transparent resistance technology that heats up the glass surface, while remaining invisible. Irradiation heating is multi directional and functions using infra-red rays which predominantly heat objects and opaque surfaces without interfering with the atmosphere. This permits homogeneous distribution of heat, therefore absolute comfort for the human body avoiding the unpleasant sensation of a hot head and cold feet. 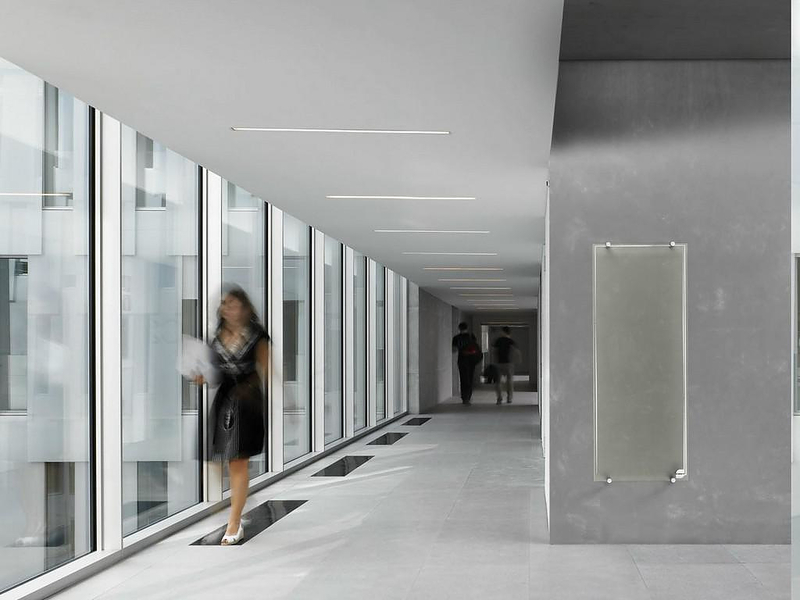 The glass surface of the Thermoglance® consists of two glass sheets that are stratified and thermally treated. 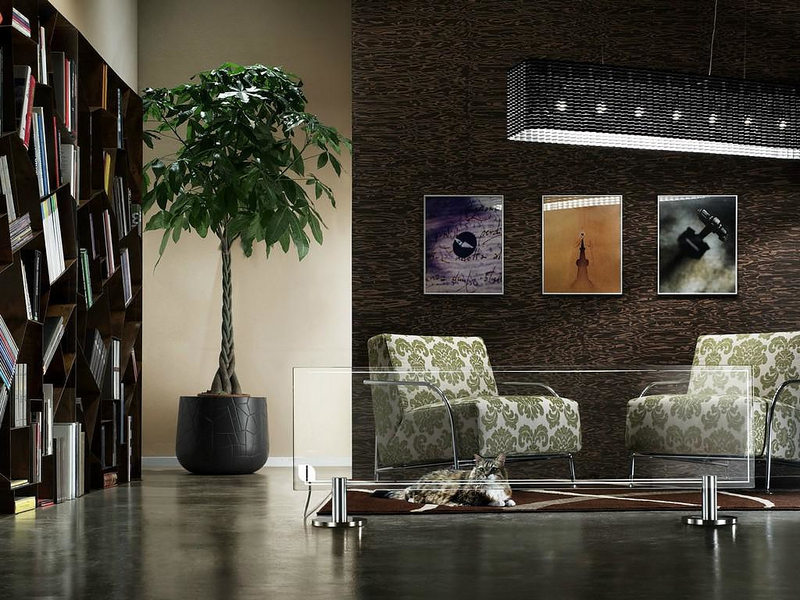 It uses electricity and is available in wall mount and floor versions featuring sleek mounting accessories and bases. It is the most convenient solution for even special projects like restorations where every modern element should be discrete. 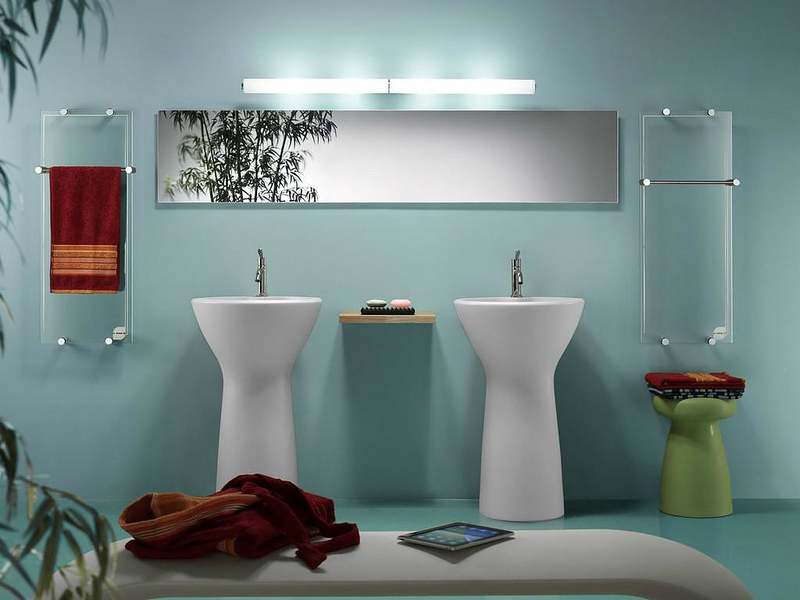 Asola Vetro has a long history of glass manufacturing. 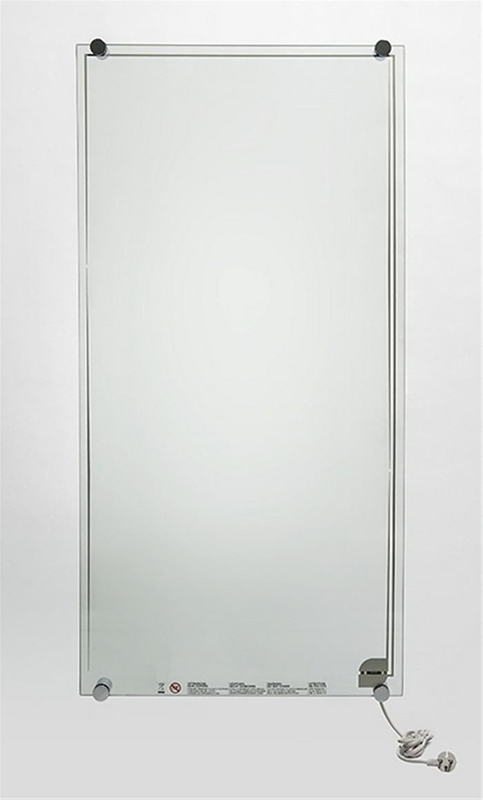 Since 1968, the Italian company produces flat glass panels, and later in 1975 they introduced large insulating glass panels. 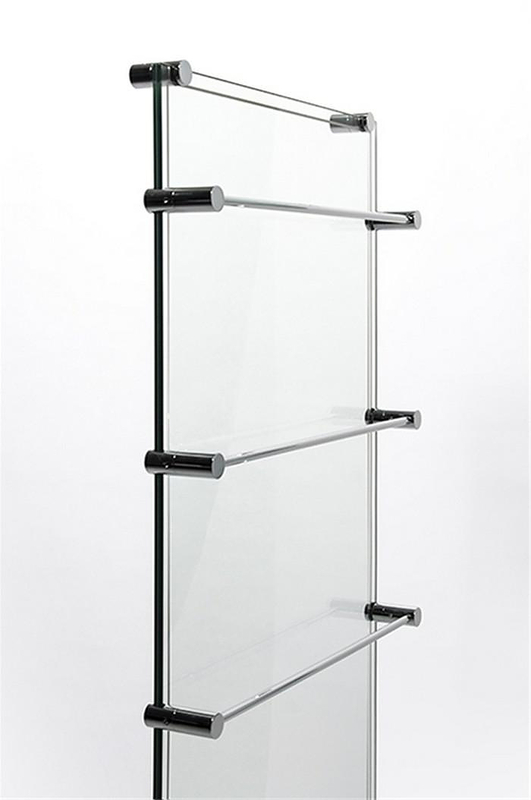 They are particularly known for the patented Thermoglance® glass radiators.